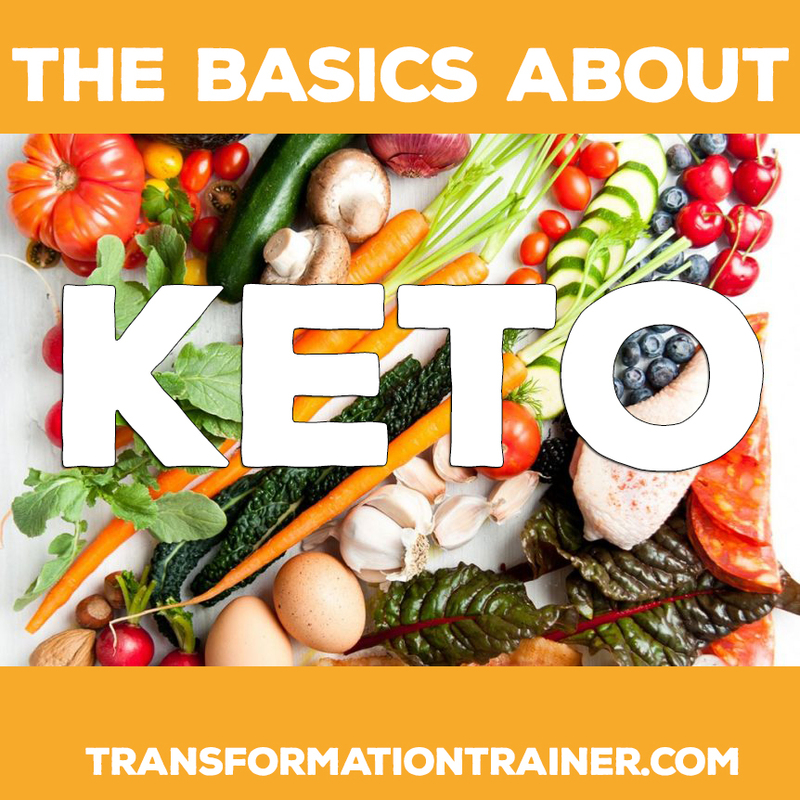 As promised, today’s post goes a little more in-depth as to what a ketogenic (aka KETO) way of eating entails. Let’s dive straight in! First of all, what is ketosis? It is a natural metabolic state in which your body produces and utilizes ketones for energy rather than glucose. This happens in the liver; where essentially, your body takes fat and produces ketones that are then released into the blood for the body to use as fuel. So what triggers this process? Depleted glycogen stores and glucose in the blood. See, our brains can only run on glucose and ketones. So when glucose is in short supply, (like when you’re fasting or eating a low carb diet) our bodies have the ability to “flip the switch” and run off of ketones rather than glucose. And believe me, there are some major benefits!! Obviously, weight loss is a major benefit. Once you enter ketosis, your body is utilizing your stored body fat as energy, how cool is that?! But there’s more! The benefits also include: increased energy, increased mental focus and clarity, increased physical endurance, diabetes reversal, lower total cholesterol, lower triglycerides, less headaches, hormone balance, increase in fertility, epilepsy control and there are several medical studies that show a ketogenic diet is effective at eliminating cancer (it worked for me)! So how do you get into ketosis? The main thing required to get into ketosis is to limit your net carbs to 20g or less each day. What are net carbs, you ask? Net carbs can be found by taking the number of total carbohydrates in any given food and subtracting the fiber from it (because fiber should never count against you, lol). 1 cup of sliced avocado has 12 grams of total carbohydrates. But they also contain 10 grams of fiber. 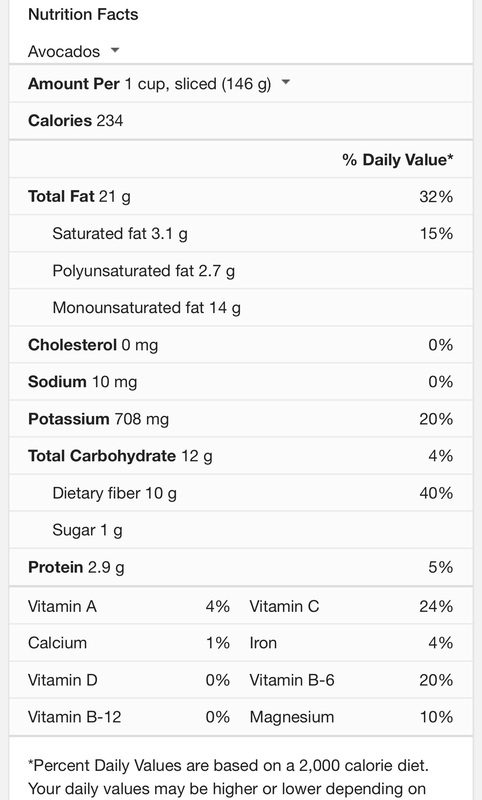 So, once you do the math, a cup of avocado contains 2 net carbs. See how easy that was?! Obviously, you’ll need to avoid sugar, breads, pasta and rice. That doesn’t sound so bad, right?! But, as with most things in life, it’s not quite that cut and dry. There are some sneaky carbs you’ll need to watch out for. You may have heard it said that SUGAR is the most addictive substance on the planet. Trust me, once you really start paying attention, you’ll see why. There is sugar in almost everything!! You HAVE to read ALL of your labels!! So, you’re all excited about Keto and want to give it a try…. Here’s a list of some of my favorite websites. They’ve all got great info and fabulous recipes!! Of course, if any of y’all have questions or would like some guidance as you start this new way of eating (WOE), I’m happy to be of assistance! I love watching my clients succeed and would be happy to help out in any way I can! You can contact me today through any of my social media accounts or simply drop me an email.